We measured ourselves to determine if we were Leonardo da Vinci's Vitruvian Man. Leonardo da Vinci was a true Renaissance Man. He was a scientist, inventor, artist, engineer and truly one of the greatest thinkers of all time. The 13 minute movie Renaissance Artist Leonardo da Vinci was created for children and does an excellent job of entertaining while packing in information about Leonardo. Leonardo da Vinci's Vitruvian Man is one of his most famous sketches. It is so much more than a work of art. 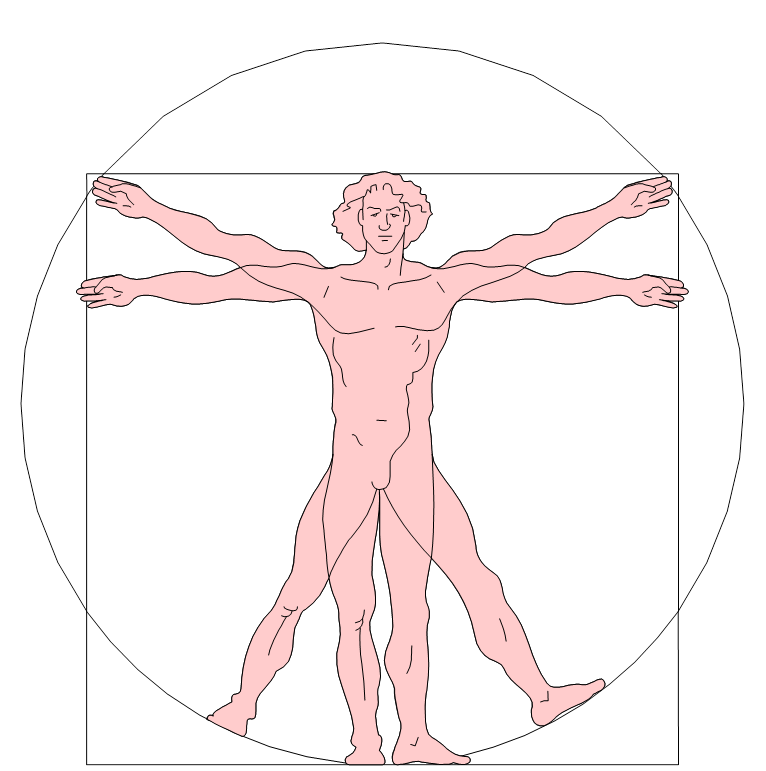 The man's belly button is located at the center of the circle and circle and square show the proportionality between height and arm span. Primary Resources offers a free Vitruvian Man worksheet located under the Length/Distance section, highlighted with a bulleted yellow number 4 on the webpage. The worksheet asks the question: Are you Leonardo's Vitruvian Man? Kids measure several body parts and then answer questions such as were the height and arm span the same? It's quite simple and interesting. For more hands-on learning activities be sure to visit our subject pages. Great idea for an activity, and the movie looks right up my kids' street - thanks. This is awesome! We just started a Leonardo DaVinci study last week!